When we finish a good book and then start a new one, emotions run high and low. The end of a good book is so satisfying and pleasant, yet…it is over. That is the wonderful roller coaster of reading. And, with each chapter book we read, we ride that roller coaster again and again. 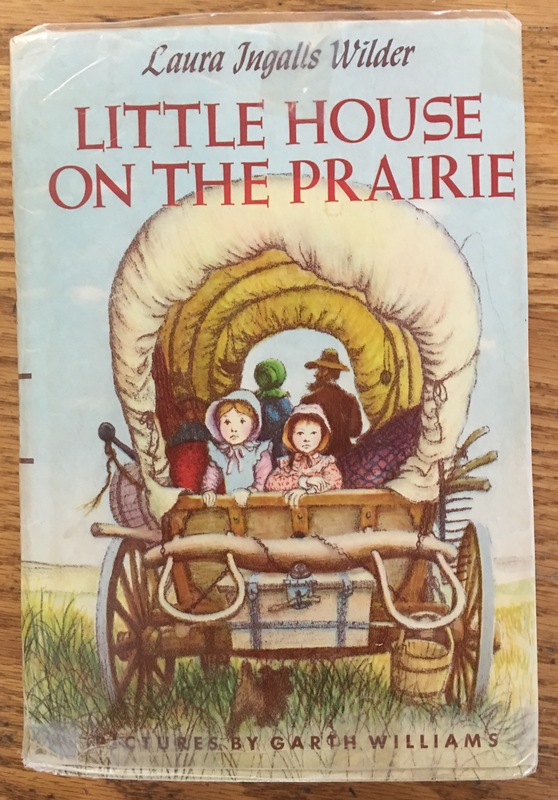 We are three-quarters through Little House on the Prairie, and it is thrilling; from Jack the dog, to building a house, to Indians in the house. Pa and his neighbor Mr. Scott dug a well, and we learned about the bad gas deep inside the earth (Pa had to save Mr. Scott) that only a candle can detect. Of course, I had to bring in my grandfather’s childhood portrait wearing a miner’s hat with the same candle. Laura and her family had fever ‘n’ ague (malaria), an illness that people thought came from eating watermelons. We encourage you to finish reading the book aloud to your child. There is much more ahead, from Mr. Edwards meets Santa Claus, to Fire on the Prairie. If your child wants to continue the series, the next one, Farmer Boy is about Laura’s husband when he was a little boy. I recommend the following one, On the Banks of Plum Creek, which begins their next journey after the prairie. We voted on our favorite chapter books this year. Charlotte’s Web was the winner! The fundamental constant that gives children the tools to succeed in school is language. The more words that children hear, the better they will do in school. Reading aloud to children is far more than an enjoyable experience. It increases their language development! In kindergarten through grade four, the primary source of instruction is oral. The more words that a child has heard, the better s/he will understand the instruction, and the better s/he will perform in school, in all subjects. Therefore, we will always campaign to read aloud. A wonderful guide to book recommendations and to understanding the importance of reading aloud is the million-copy bestseller book, The Read-Aloud Handbook. I have used the book since my children were little. The author, Jim Trelease, visited the Aqua Room and GCS. We are featured in the new seventh edition of the book. This entry was posted in chapter reading, Early Education, Imagination, Jim Trelease, reading, reading aloud, Teaching young children and tagged chapter reading, children's books, Early Education, Jim Trelease, language development, reading aloud, The Read-Aloud Handbook. Bookmark the permalink. Oh, I have the hardest time setting aside a good book and waiting until tomorrow for another chapter. My children loved it when I read chapter books, and they too never wanted me to stop reading. I’m reading to the next generation now, and here in your list are books I’ve never read! I’m going to remedy that and order two to start with. I think my Little Man will enjoy My Father’s Dragon, and Mr. Popper’s Penquins right now, and I’ll save Doctor Dolittle. So many books, so little time is so right! Sigh!! The end of the school year must be a mixed blessing for you and the kids. Hopefully the parents that send their children to you will be the kind of parents that follow through and read to their children. Loved your list of chapter books. Thank you! I read for thirty minutes each day, when children are just settled on their nap mats. I spend the first five minutes of reading to recap what happened in the book yesterday. It works! And, the children are captivated because the book is really good. It is wonderful! Jennie Fitzkee is coming to the close of another school year and shares with us the last newsletter to parents of the year.. About Chapter Reading … I do recommend you head over and read. 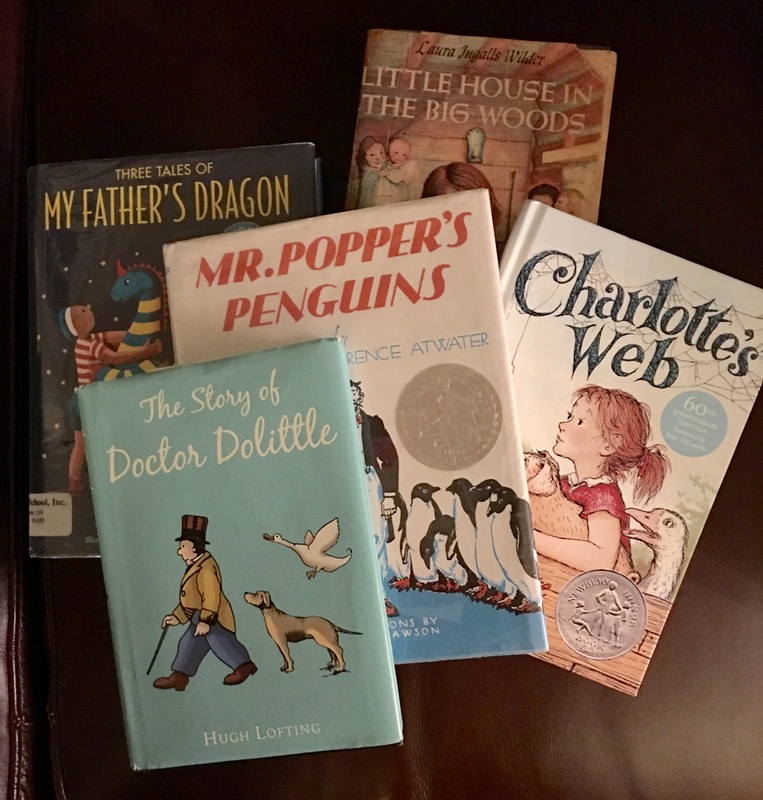 Very important message… even listening to someone else reading a story increases a childs vocabulary and also stimulates their imagination.. great list of books to read with your children at any time of day.. Yes, it is. Maybe some of the children I teach will become great readers and writers. If I can give them a light, a passion, no matter the direction, that is a good thing! Reading does just that. Thank you, Sally. Such a good idea to send the newsletter to parents. Judging by your success rate over the years, I am guessing that most of them follow your advice. Thank you, Pete. I think many do continue to read to their children. Good thing! Best to you! Excellent letter to the parents, Jennie! Hopefully, their children will ask them to continue what you started. Thank you, John. I think quite a few parents will do just that. Fingers crossed! Aw, what a wonderful letter. Thanks for sharing all your wisdom! I love that you put the titles of what you read during the year in your newsletter. This is a great idea that I will be sharing with teachers in Fall, what a great way to try to get parents on board with getting their children reading! Congrats on another year, Jennie. The parents must love your letter and what a wonderful year you had. Happy Summer! Thanks, Diana. They do love the letter. Happy summer to you!